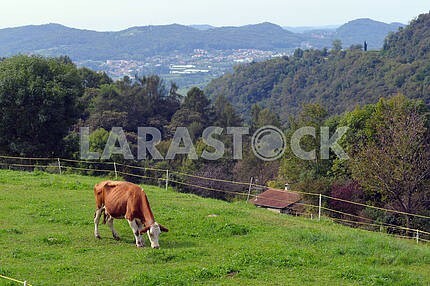 Description Cow grazing on a green pasture. 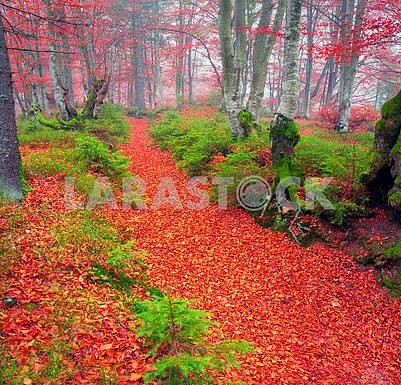 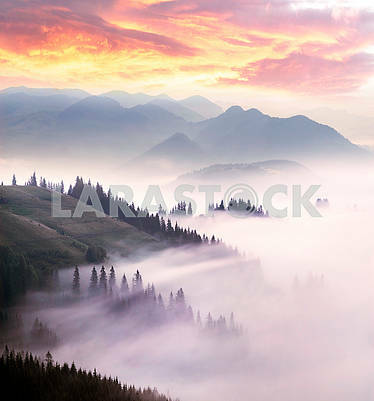 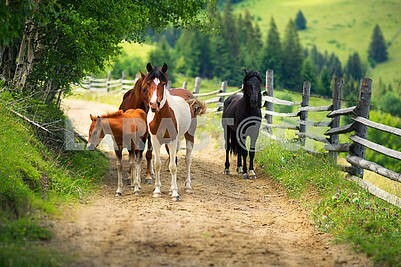 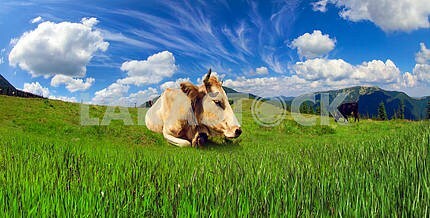 Title: Cow grazing on a green pasture. 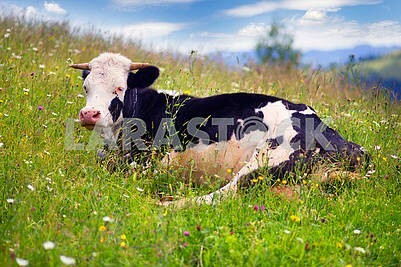 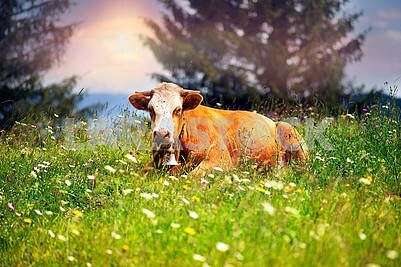 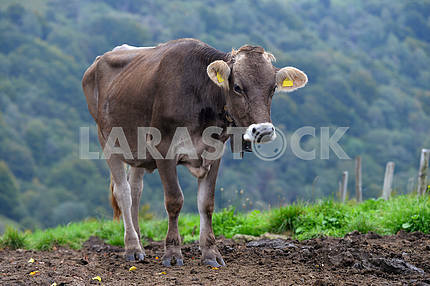 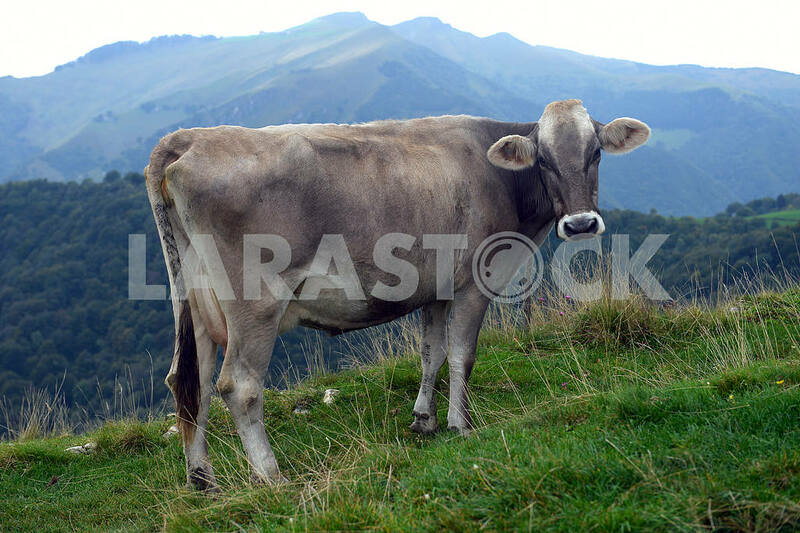 Description: Cow grazing on a green pasture. 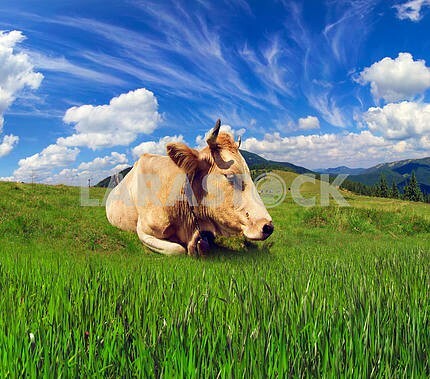 Image Description: Cow grazing on a green pasture.